A German court ruled against the often expressed accusations by pro-Israel groups that to advocate for boycott, divestment and sanctions (BDS) against Israel is anti-Semitic. Last week, a regional court in Oldenburg, Germany, ruled in a case against Social-Democrat Sarah Rihl. 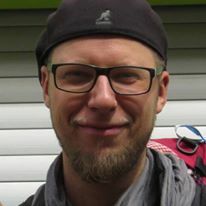 In an email of 25 April, Rihl asserted that Christoph Glanz is a “well known anti-Semite” who works for an “anti-Semitic organisation”, referring to the BDS movement. Rihl expressed her accusations when she approached an Evangelical Student Body in an attempt to stop a lecture about BDS by Christoph Glanz. Rihil’s accusations contributed to the cancellation of the lecture. The global, non-violent BDS movement has its origin in the call of Palestinian civil society to hold Israel to account for its ongoing violations of the rights of the Palestinian people. Christoph Glanz decided to defend himself against Rihl’s slander and took legal action. We know the strategies of the Israel supporters who -lacking arguments- frequently use intimidation and slander including accusations of anti-Semitism to stop BDS events, Glanz said in a press release. The German court ordered Rihl to not repeat her accusations. Every time she violates the court order, she risks imprisonment or a fine of maximum € 250,000. Rihl announced on Facebook that she will appeal to the ruling. This is surprising, because she nor her lawyer bothered to attend the hearing about her case. After Koenders clear statements in parliament, Dutch pro-Israel groups tried to restrict BDS activism by lobbying for a motion in parliament which calls on the government to give no funds “directly or indirectly” to “organizations which advocate for a boycott or sanctions against Israel.” The motion was adopted in parliament with the support of the Christian Democrats. It is not likely that Koenders will heed this call.